Although there is substantial historical, archaeological, and geological evidence that refutes the existence of Atlantis, people continue to search for Atlantis. I think people ignore the abundant evidence because Atlantis has a certain mystique. Like Bigfoot and the Loch Ness monster, people find “evidence” of Atlantis because they want to believe so badly that it does exist. But this is one of the things that separates the science of archaeology from pseudoscience. Archeologists do not work to prove something because seeking a certain outcome, setting out to prove a theory results in bias. evidence of some feature but there are a lot of straight walls out there to be found, what makes him so positive that this is Atlantis? 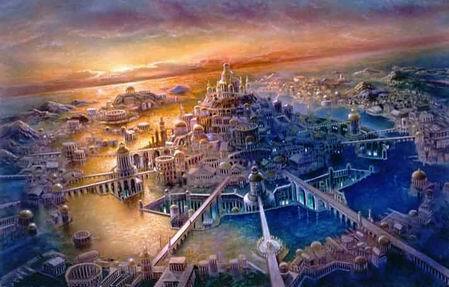 All other possibilities must be eliminated before Sarmast can truly claim his as Atlantis. Simply finding one wall isn’t good enough, yet this seems to satisfy the general public’s need for evidence. Sarmast’s evidence is similar to Erich von Daniken’s use of irrelevant statistics to prove the existence of prehistoric aliens. In his documentary “Chariots of the Gods” von Daniken provides the viewer with completely irrelevant data, such as the distance of a certain road, or the height of a certain monuments: von Daniken seems to bombard the general public with statistics in order to distract them from the absurdity of his theories. While the truth of pseudoscientists’ “discoveries” is certainly questionable, this does not stop the general public from playing into the hands of entrepreneurs who take advantage of the general public’s fascination with these theories and discoveries. For example von Daniken’s mystery park is a theme park completely devoted to his theory of ancient aliens (and making money). 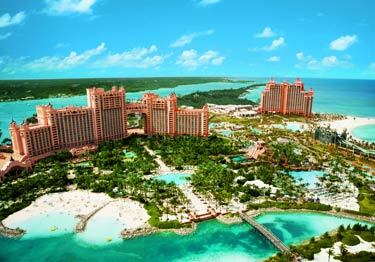 Entrepreneurs have also profited off of the general public’s fascination with Atlantis by constructing an aquatic themed resort in the Bahamas that invites guests to discover the mysteries of Atlantis. While archaeologists can’t necessarily dissuade the public from believing what they want to believe, the best they can do is to continue to provide actual scientific evidence to refute the ridiculous claims of pseudoarchaeologists like Sarmast and von Daniken. Any child who read the Harry Potter series has probably spent hours imagining and hoping that the world of Hogwarts was more than just a fantasy. Late nights were spent concocting polyjuice potion in the kitchen, and countless hours were lost stalking the mailman on our 11th birthday. Eventually though, we grew out of our fantasies, but we still had a warm place in our heart for Harry, Hermione, Ron, and Hogwarts. A rendering of Atlantis from the website. Sarmast claims that he found Atlantis after detecting circular like structures near Cyprus, but surely such a glorious empire should yield more material evidence. Certain legends, however, have withstand the test of time and consistently blurred the lines between fantasy and reality. In Plato’s dialogues, Timaeus and Critias, he wrote about a war between Ancient Athens and the Empire of Atlantis. This story has spawned countless theories and books about the reality of the lost continent. Some individuals go as far as pouring millions of dollars of resources into locating it by using “archaeology,” such as the case of Robert Sarmast’s “Discovery of Atlantis” project. Modern archaeological methods and geology have disproved the myth. For instance, no one has ever found any physical remains of advanced naval ships, buildings, or bones in any supposed location of Atlantis (Beisaw), and the processes of plate tectonics rule out the possibility of a submerged continent (Feder 220). Furthermore, by learning about the cultural context of Plato’s era, the reader can understand that Plato used Atlantis as a plot device to convey a moral lesson. In his story, the protagonist, the Athenians, defeated the technologically advanced but morally corrupt empire, Atlantis (Feder 200). Therefore, Plato’s primary goal was to extol the virtuous society of the Athenians and the Greeks in general. Oddly enough, I rarely believed that Hogwarts was real, and yet, before this course, I actually thought that Atlantis existed. They’re both magical places written down on text, so why did I doubt the existence of one but not the other? Personally, I believe that the primary reason is cultural familiarity. Originally, my unfamiliarity with the ancient culture of Plato’s times led me to indulge in romanticized notions about a lost world. However, once I learned more about the ideals and patriotism of Plato’s culture, I could look past the fantasy. I realized that Plato wasn’t trying to document a lost world. He, like JK Rowling or any other author, was just trying to convey his ideas about his culture through literature. Therefore, I believe that the public form misconceptions about archaeology because they do not understand the anthropological theories about cultures to interpret archaeological data objectively. On top of material analysis, archaeologists learn about the literature, history, and art of a culture in order to detect cultural bias and sort through the reality from the myth. There’s nothing wrong with the usage of text to locate a site, but it is crucial to familiarize ourselves with the text’s cultural context and history so we can look past our own beliefs and interpret material and written records objectively. For instance, Robert Sarmast became so infatuated with his romantic ideas about Atlantis that he ignored the lack of real archaeological data. I wouldn’t be surprised though if in a couple of hundred years people unfamiliar with Harry Potter and our culture will try to “prove” the existence of Hogwarts. 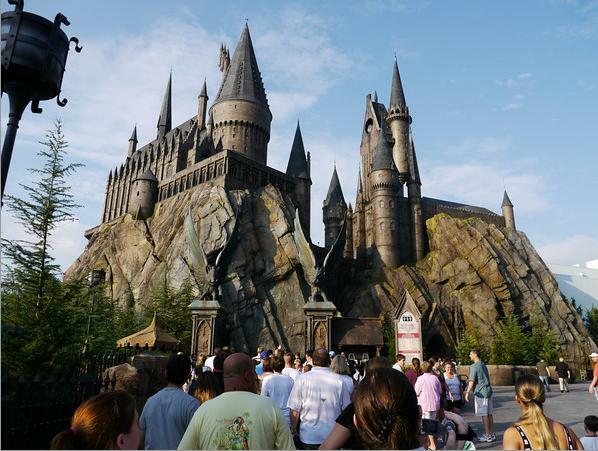 Actually, Hogwarts has already been found in Universal Studios at Orlando, Florida. This is a joke. As humans we tend to believe without question claims that support our beliefs or make us/our ancestors look good. These claims include that Indians were not the Moundbuilders, the Hebrew stones were real and Columbus discovered America. 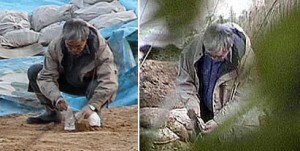 Archaeology seeks to find the truth in these allegations. Despite popular belief, archaeology isn’t just digging in the dirt. Archaeologists work hard to find concrete evidence before coming to conclusions and they disregard their own bias to prevent tampered evidence. Cyrus Thomas is a prime example of an archaeologist trying to find the truth. 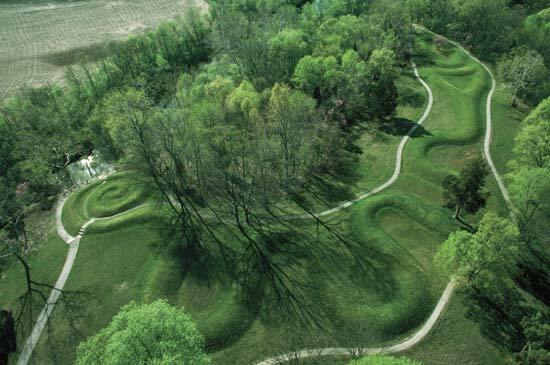 He only asked one question: “Were the mounds built by the Indians?” He went about answering this question by refuting five key claims that supported that the mounds weren’t built by Indians. Thomas disproved each claim with ample proof. Many people still ignore the evidence that keeps piling up supporting that Indians made the mounds because it conflicts with their preconceived notions of Indians as primitive and barbaric. If the Indians made the mounds, then the Europeans would look bad for almost wiping out a race that was impressive and civilized. 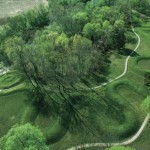 They have a motive for believing that the Indians didn’t build the mounds. It’s important for archaeologists not to have any motives such as nationalism, money, fame, racism, and religion. were a mix of ancient and modern Hebrew which led to skepticism. Eventually the hoaxers were caught. The whole motive behind this hoax was to prove that the native inhabitants of the old and new world were decedents from the Bible and could be traced back to the first people God had created. This was a religious motive. The last example is the debate over who discovered America. We glamorize the fact that Columbus “discovered” America by celebrating Columbus Day. In reality, there’s no way that Columbus discovered America. We only celebrate it because we like to believe our ancestors are superior and successful. It’s obvious that someone else discovered America first because there were many civilizations living there when Columbus arrived. Although we aren’t sure who the first people were on America – whether it was the Vikings, migrants across the land bridge, the Clovis culture or even another group – there is no way it was Columbus. Besides having an ulterior motive, all of these examples also dealt with identity. Your identity has something to do with your ancestors; what they do or who they are says something about you. This is why Europeans still don’t want to admit to killing a culture of civilized people or give up the idea that Columbus discovered America. It’s the reason people wanted the Hebrew stones to be real. Sometimes society might not like these identities, but archaeologists disregard that; they seek to find the truth. Sure, I am proud to be an American and be part of the American culture, but I am not willing to accept ridiculous claims about our heritage. The public must be critical of archaeological finds, because not everything is true. Greedy, egotistical, and tricky schemers create hoaxes that while appealing, are not backed by substantiated evidence. Let’s look at the Cardiff Giant. The Cardiff Giant, one of the greatest hoaxes in American history, was claimed to be a fossilized giant, similar to giants described in the Bible’s Book of Samuel. 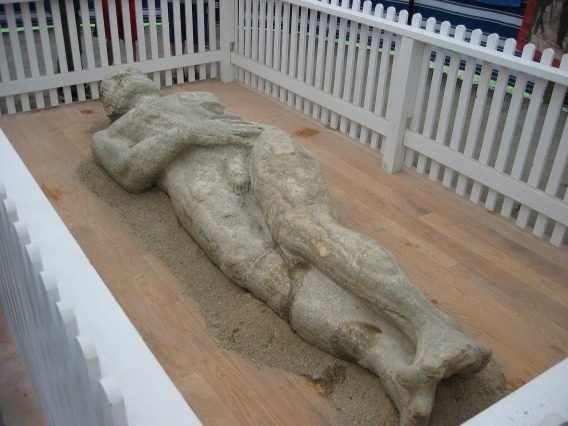 Really a statue, buried and then dug up on a farm, the Cardiff Giant became an instant tourist attraction as people flocked to see remains of Goliath. With many visitors and economic impact, how did it take so much time to figure out that the Cardiff Giant was a hoax? The answer is simple: humans have an amazing ability not to question when they get what they want. 1869 was a religious time, creationism was popular, and many people read the Bible literally. The Cardiff Giant appeared as physical evidence that proved that Goliath existed as the Bible claimed. The public did not question the finding because the evidence was desirable and questioning it would have negative consequences. Also, the discovery was exciting and fun. People love mystery and the unexplainable. As Kenneth Feder says in Frauds, Myths, and Mysteries, “perhaps it was the simple romance of such an amazing discovery that played at least a secondary role in convincing people to part with their hard-earned money to see what was clearly a gypsum statue” (Feder 62). The Cardiff Giant is only one example of an ancient discovery without evidence: they are all over ranging from the Loch Ness Monster to ancient aliens. Nationalism is a third reason for embracing hoaxes. People in America were proud that Goliath was found in this country. The discovery advanced and bettered America’s history, so why question it? As an immigrant nation, there is no common ethnic background. As Philip Kohl puts it in Nationalism and Archaeology: On the Constructions of Nations and the Reconstructions of the Remote past, “the process of national identity formation is continuous and ongoing” (Kohl 235). 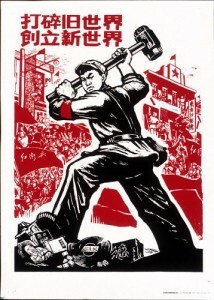 If Goliath was American, there is more meaning behind being American. Nationalistic biases are not unique to America; hoaxes have occurred throughout the world, such as the Piltdown hoax in England and Shinichi Fujimura’s hoax in Japan. Power and prestige are associated with age so these hoaxes create a false national history and pride. The Piltdown skull combined a chimpanzee jaw and a human skull in an effort to make the English have the oldest ancestry in the world. Shinichi Fujimura was caught by hidden camera planting artifacts in an attempt to make Japanese ancestry older. 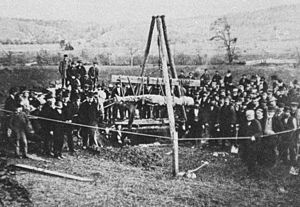 Even after experts identified the Cardiff Giant as a hoax, the public still believed it was real. 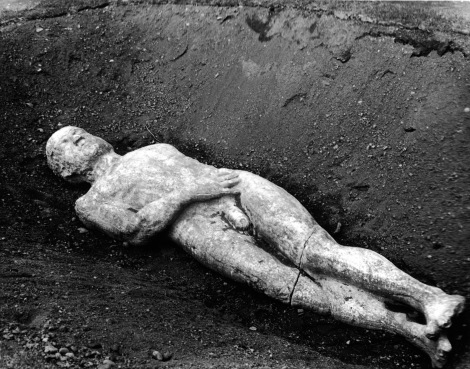 It took time, a confession, and many scientists to prove the Cardiff Giant was nothing but a recently buried statue. As with many other hoaxes, we must learn this lesson: be wary of ridiculous claims and no matter what ask for evidence—do not trust findings unless there is evidence. Unfortunately in the world of archaeology you cannot trust everything you hear. In order to mislead the public for some purpose, archaeologists (or usually people posing as archaeologists) will manipulate and fake archaeological data. This faking of data for some purpose is known as an archaeological hoax. Fake data can mislead actual scientists, contaminate the archaeological record and skew people’s understanding of the past. When considering archaeological hoaxes, questions arise: what are the purposes behind these hoaxes? How are the hoaxers able to make the public believe them? It is important to be aware that archaeological hoaxes exist, and not to let them distort your historical view. 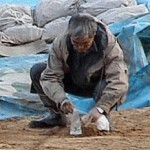 There can be many purposes behind an archaeological hoax. The hoaxer may be prompted by personal reasons such as fame and money. There may be religious reasons behind a hoax, such as trying to validate a religious story. In Frauds, Myths and Mysteries by Kenneth L. Feder, Feder discusses how in 1869 a giant “petrified” man was found buried on a farm in Cardiff, NY, who became known as the Cardiff Giant. Until this find was determined to be a hoax (a statue planted in the ground only about a year before it was “found”), the petrified man validated biblical stories of giants such as David and Goliath. Nationalism can also prompt a hoax, for instance when a country seeks to have the “oldest” of something. 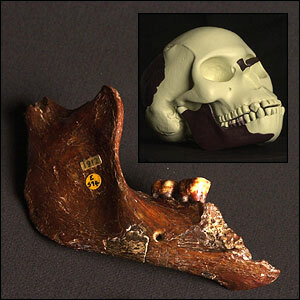 In the case of the Piltdown Man, fragments of a human skull and ape-like jaw bone were found in England in 1912. Because the bones seemed to go together, it was thought for the next 40 years that an early human ancestor had been discovered. Fossils of Neanderthals had already been discovered in France and Germany, so it brought England great pride that they could now also claim to have played a part in human evolution. However, in the late 1940s after dating techniques had been developed it was determined that the Piltdown Man skull and jaw were neither ancient nor from the same species, the skull being human and the jaw from an orangutan, and that it had all been a hoax (Bartlett). People believe hoaxes because they convey ideas that people want to believe, especially regarding religion or nationalism. They are not immediately called into question because people want them to be true. Beginning in the 1980s and continuing until the year 2000, an amateur prehistorian named Shinichi Fujimura was planting ancient artifacts from other Asian countries in Japanese sites to make it seem that Japan had a more extensive prehistory. Because of Japan’s national pride in these discoveries, no one questioned the validity of the finds as they accumulated for twenty years. After the truth came out about Fujimura’s hoax the legitimacy of the approximately 180 sites he had worked on vanished (Feder). In scientific fields such as archaeology it is important to disregard the desire to immediately believe discoveries and their interpretations and question everything. Only through questioning and retesting can hoaxes be discovered and eliminated from the archaeological record.